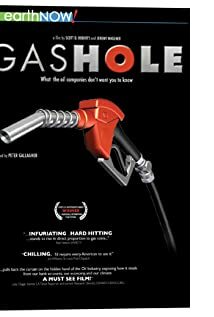 "GasHole" is a new documentary film about the history of Oil prices and the future of alternative fuels. The film takes a wide, yet detailed examination of our dependence on foreign supplies of Oil. What are the causes that led from America turning from a leading exporter of oil to the world's largest importer? What are the economic and sociological forces that have contributed to that change and impede its solution? The film examines many different potential solutions to our oil dependence. Starting with claims of buried technology that dramatically improves gas mileage, to navigating bureaucratic governmental roadblocks, to evaluating different alternative fuels that are technologically available now, to questioning the American Consumer's reluctance to embrace alternatives. If you buy gasoline, you should see this movie! Anyone has watched this documentary? What do you think about hidden technologies? Is it really possible to build a car with 150MPG? ?